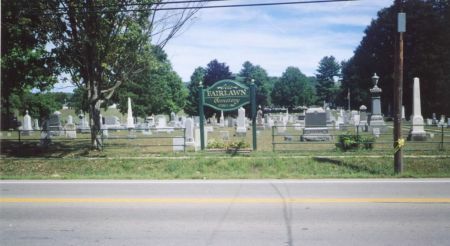 This cemetery was walked, recorded and photographed in the summer of 2005 and updated since by Eleanor Schwalb. BABBITT, Carol M. (Dunn) Tanner Spouse of #1James H. Tanner, #2 Walter J. Babbitt Born 10-11-1951 Died 12-13-2006 - Dau of Donald Robert & Pruella Edith Toombs Dunn b. Coudersport Pa. d. Wellsville NY, "I Love You More Than You'll Ever Know"
BREWSTER, Capt. E. Geo. Died 6-27-1862 Age 26y 11m 16d - Civil War Vet, Killed in the Battle of Gains Mills, Va.
BRUNDAGE, Ruby L. Spouse of Robert E. Born 4-13-1918 Died 4-3-2003 Age 84y - Dau of Clark A. & Maude A. Phillips Perry b. Alma, NY d. Wellsville, NY . Wed 12-20-1941 in Genesee, Pa.
BUCKLEY, Benjamin J. Spouse of Grace Born 1888 Died 11-16-1933 - Uncategorized Vet, US Army, Pvt. Med Dept. BUCKLEY, Lillian F. Spouse of Marshall Born 5-9-1926 Died 1-4-2007 - Dau of John & Barbara Speich Nimm b. Arpin, Wisc. d. Wellsville, NY . Wed 12-24-1942 in Albany, Ga.
CADY, E. - [Mother] No first name or dates. CANFIELD, Edward M. Died 2-3-1865 Age 20y 2m - Son of J. E. & Hannah JA. Canfield. [A Brave Soldier and True Patriot] - Civil War DOD, Co C 65th Inf, NYS Vols, Pvt. Died of disease in Haddington Hosp, Philadelphia PA. Haddington Hosp, Philadelphia PA.
CORNELIUS, Raymond C. Spouse of Lelia (Miller) Brown Born 3-23-1935 died 7-1-2017 Age 82y - Son of Reginald B. & Charlotte (Millen) Cornelius b. Wellsville NY d. Scio NY. 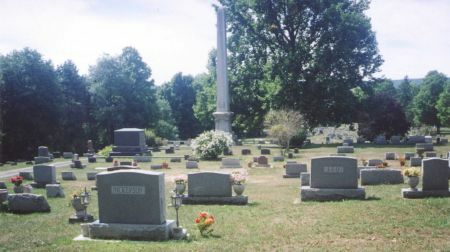 Wed 2-22-1969, four children, mother unclear..
CORNELL, Gertrude V. (Hogan) Spouse of #1 Robert Cornell Jr., #2 Ernest Cole Born 6-19-1927 Died 6-6-2015 Age 87y - Dau of John & Gertrude (Hamilton) Hogan Sr., b. Town of Ward NY d. Shinglehouse PA. Wed Robert? 6-25-1944. DARMODY, Eleanor Spouse of #1 Alton Lanphear, #2 Bernard Darmody Born 5-12-1921 Died 9-15-2011 Age 90y - Dau of Harry & Fern Closser Knorr b. Brockway PA d.Huntsville TX. Albert d. 8-20-1982. Bernard d. 1-7-1981. DARRIN, Henry S. Born 1878 Died 1960 - Son of Nelson B. & Mary Smith Darrin b. Wellsville, NY d. Bradford, Pa.
DUNHAM, Jason L. Born 11-10-1981 Died 4-22-2004 Age 22y - Son of Daniel & Debra Kinkead Dunham b. Wellsville, NY d. Bethesda, MD. - Post-Vietnam Vet, US Marine Corps, Cpl. Medal of Honor recipient, 2006. Purple Heart, died from combat injuries in Iraq on 4-14-2004. Posthumous Medal of Honor, 2006. Navy Destroyer has been named after him. EMRICK, Olive D. Spouse of Harold Born 6-14-1914 Died 6-13-2008 Age 94y - Dau of Tanner & Edith Bishop Dye b. Forestville NY d. Wellsville NY Wed 10-9-1944 in Wellsville NY. GRAVES, Arthur L. Born 2-5-1910 Died 9-7-1955 - WW II Vet, GD Det 4 ARMD Div. HEROLD, Olive Cady - [Mother At Rest] No first name or dates. HORNBURG, Gladys Marion (Flint) Spouse of Glenn E. Hornburg Born 3-25-1921 died 6-16-2017 Age 96y - Dau of Charles Edward & Lottie (Freeman) Flint b. Detroit MI d. Ashland KY. Wed 4-9-1940 in Wellsville NY, two children. IRWIN, Lawrence Clyde Born 11-6-1924 Died 12-28-1964 - WW II Vet, US Army, Btry A 693rd Fld Arty, Cpl. JAMES, Dortha M. (Easton) Barry "Dot" Spouse of Clinton James Born 9-2-1929 died 1-31-2018 Age 88y - Dau of Frank & Eva (Emrick) Easton b. & d. Wellsville NY. Two sons surnamed Barry. Wed Clinton 3-31-1958, two sons.